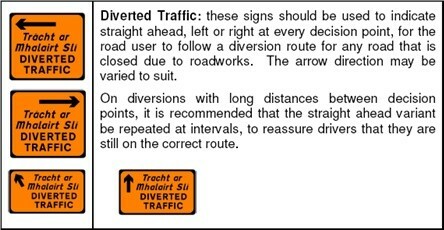 Often today roadwork’s and events require that a diversion be set up. 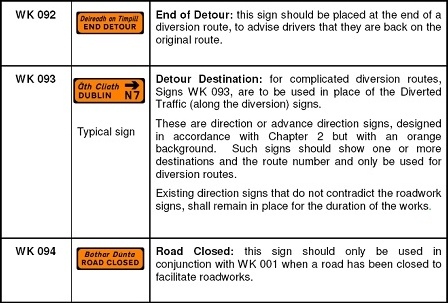 We can arrange the diversion on your behalf and ensure that the adequate signs and directions are erected on the affected route. Should it be a case that personnel are required to assist motorists at various locations along the diversion route or to ensure that motorists do not try to ignore the road closed signs we can assign personnel at these selected locations also. Road Closures & Diversions need to be planned carefully as consideration needs to be given to Emergency Services thus we ensure that they are consulted prior to the setting up of any scheduled road closures or diversions.